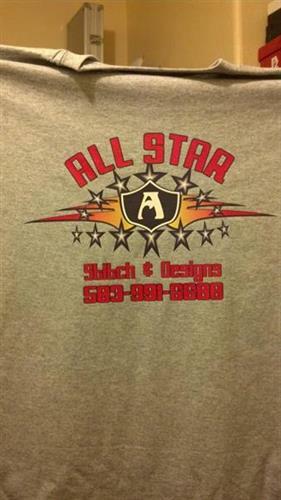 We have been doing embroidery and screen printing for 5 1/2 years. Our motto is there is no job too small or too big. We have done everything from bowling shirts, baseball teams, to major events.